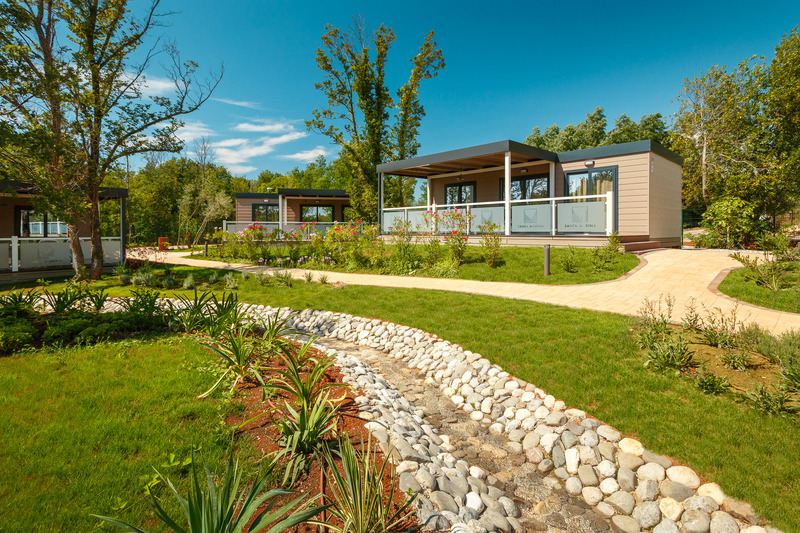 Let yourselves go with all the beauty of staying at a campsite, surrounded by Mediterranean plants and a pine tree forest. 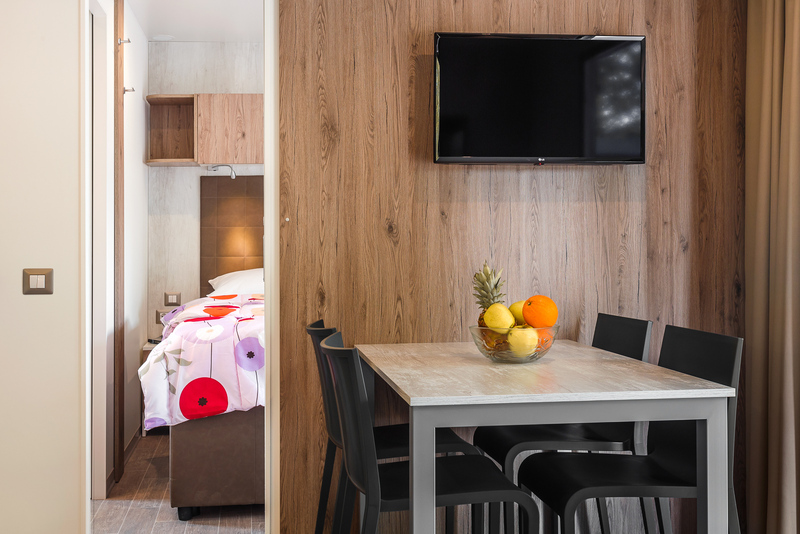 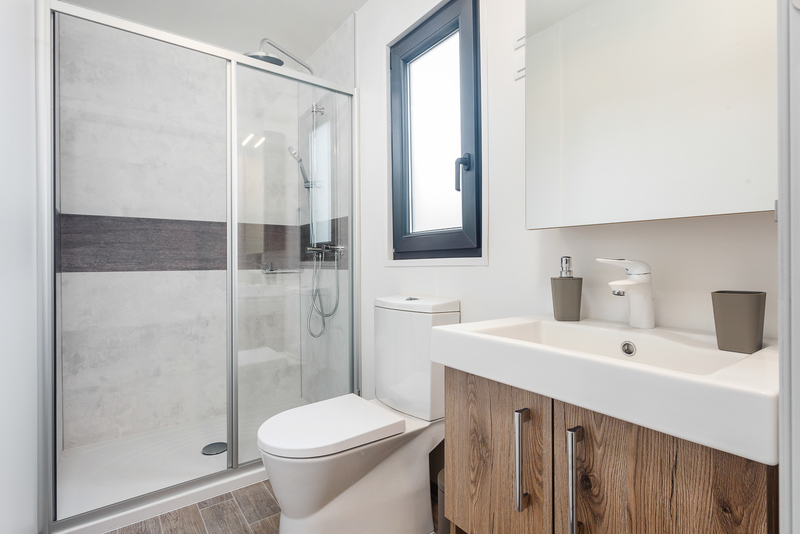 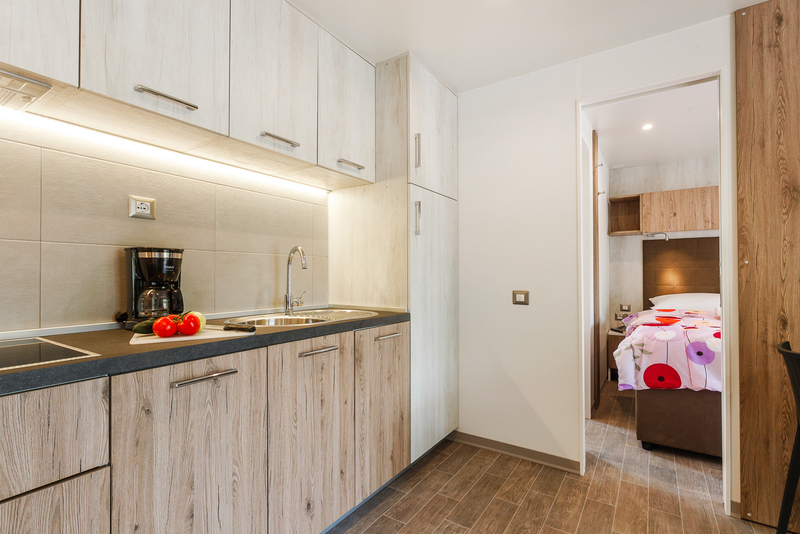 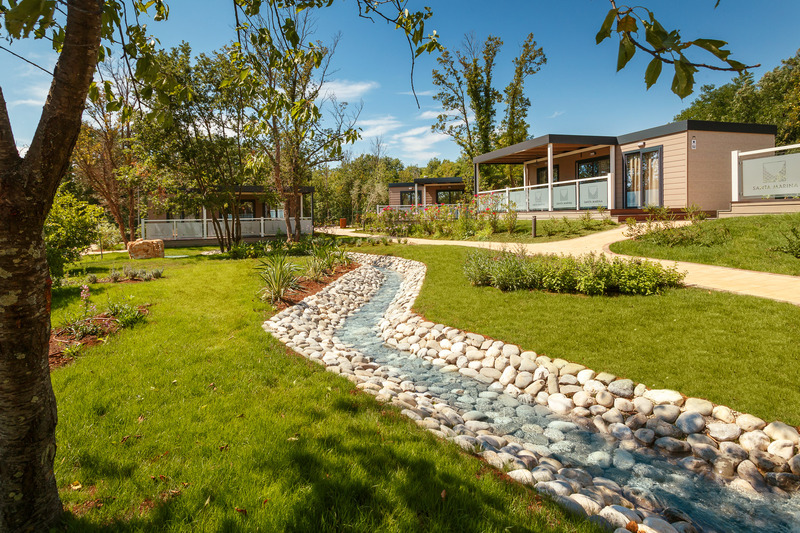 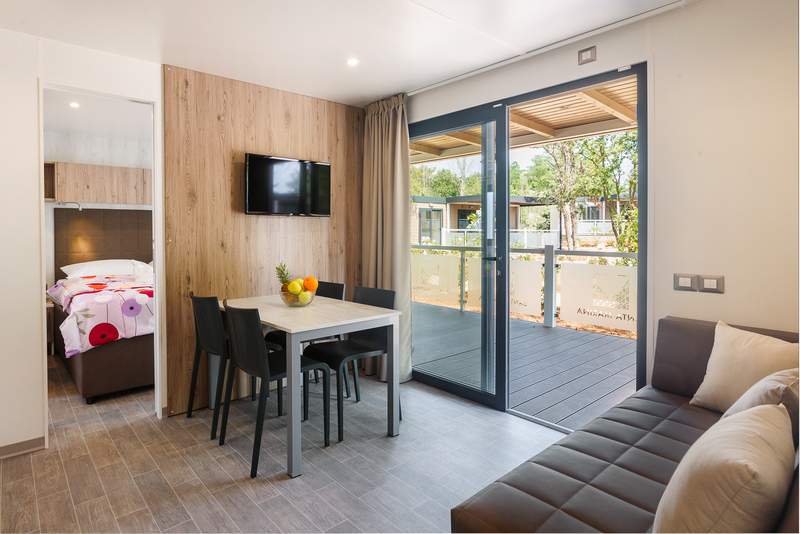 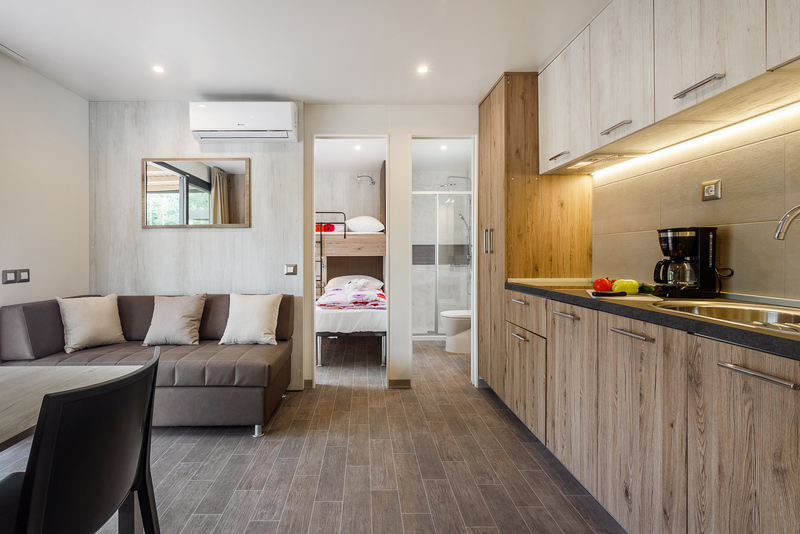 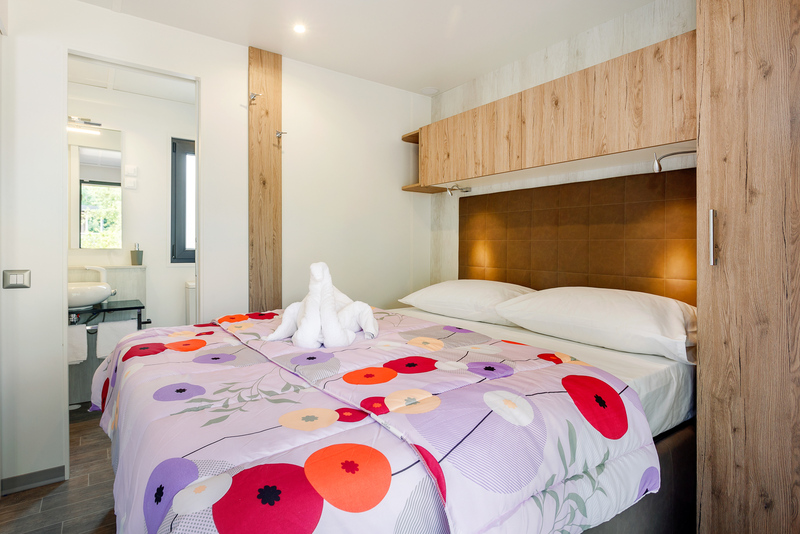 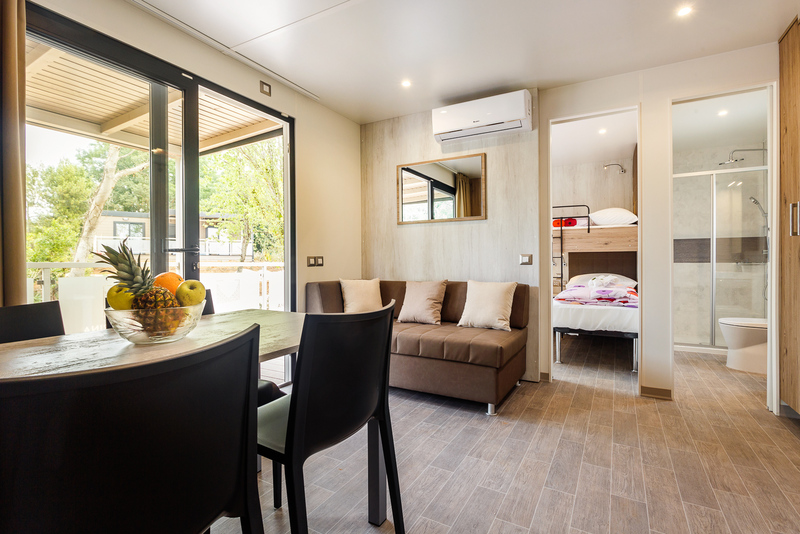 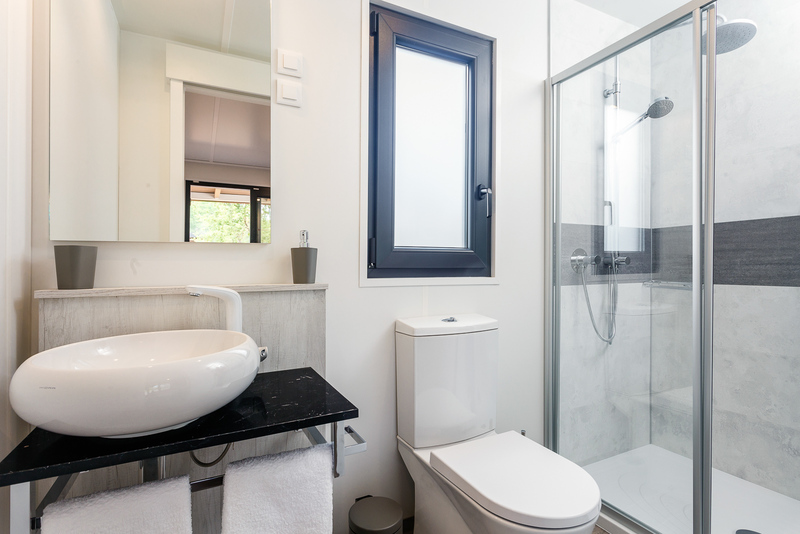 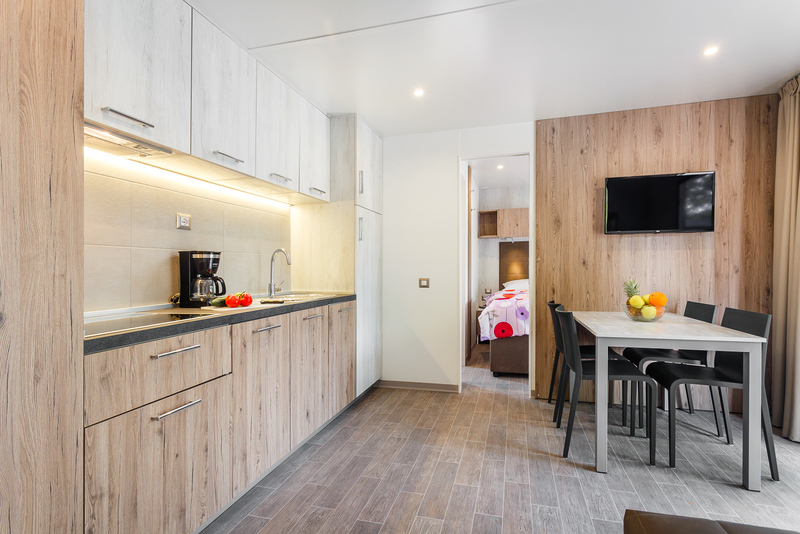 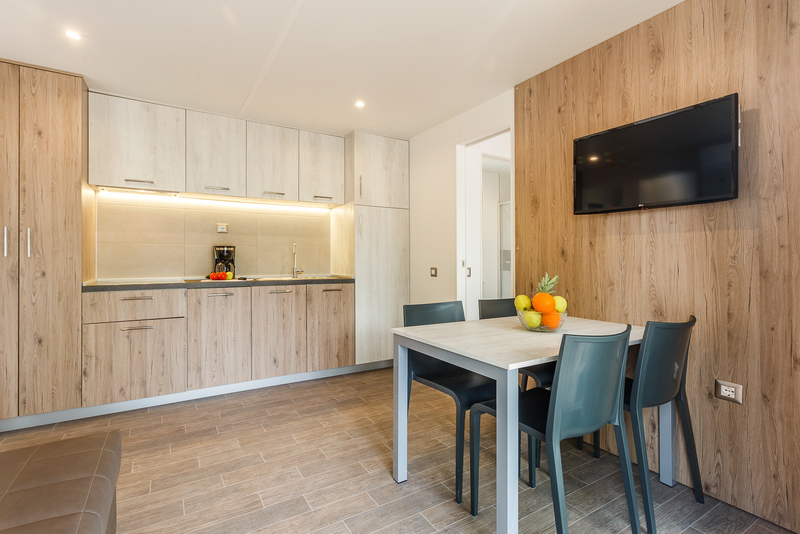 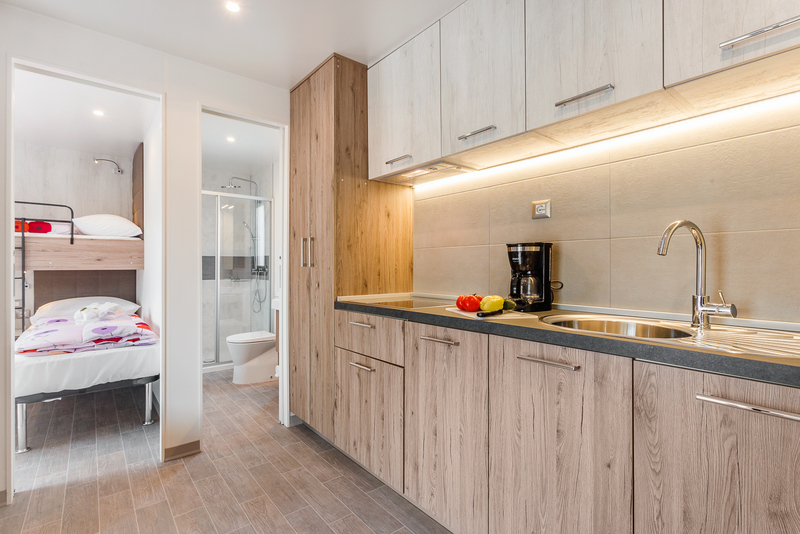 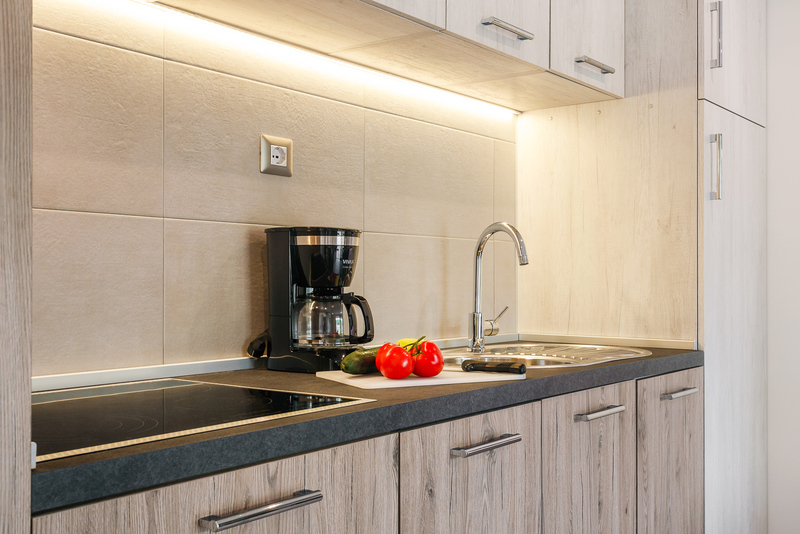 New since 2018, within their 34m2, mobile homes Premium Comfort dispose with a bedroom with a double bed, a children’s bedroom with a single bed and a bunk bed, two bathrooms, a kitchen equipped with microwave oven, kettle and dishwasher. 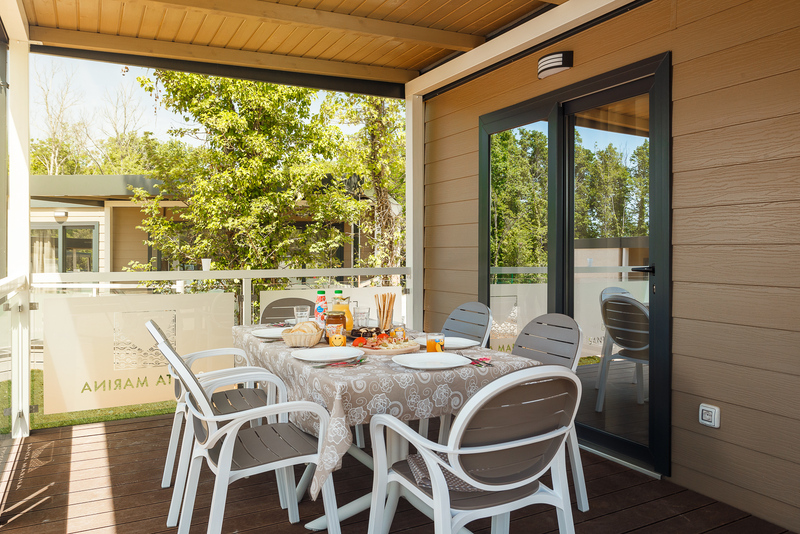 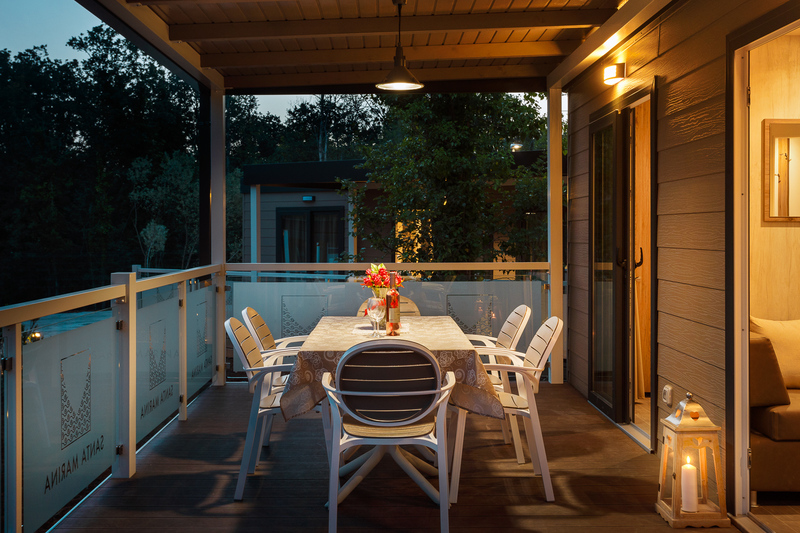 On the spacious, covered and enclosed terrace you will find a dining table and sunbeds – all you need for laid back summer evenings!